Halloween Countdown, featuring the most terrifying ephemera I can dig up, returns for another week of images that are not for those with weak hearts or weak stomachs. 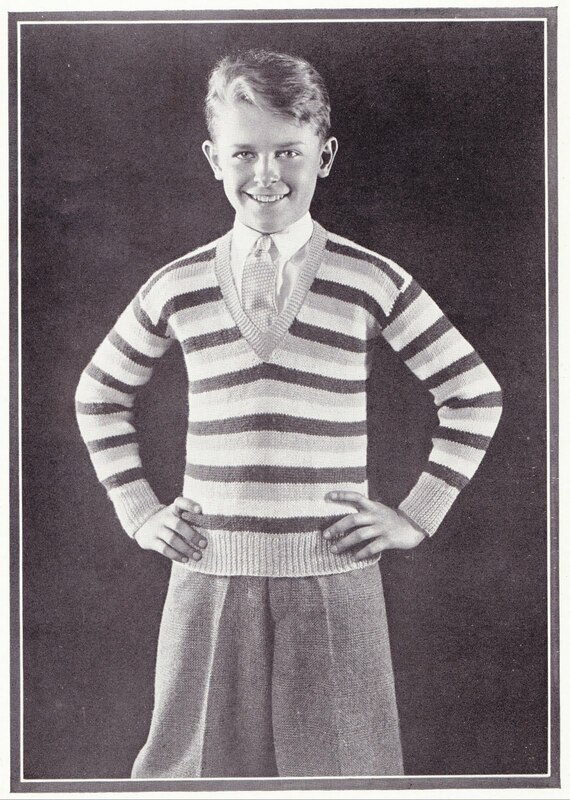 Today's image comes from 1927's "Manual of Yarnkraft, Volume 49." 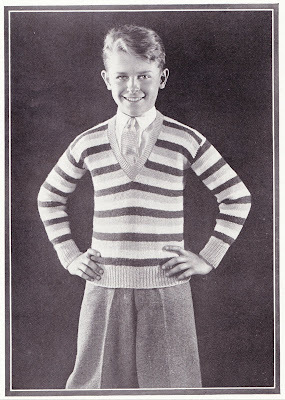 While most of the other models in the 96-page book are sporting fairly trendy and acceptable attire1, this young man stuck with the combination of a very tight V-Neck Slipover and a very loose and wide pair of pants that almost make it look like he's wearing a skirt. 1. There is actually some fascinating vintage stuff in this book that I'll have to blog separately some day, when I'm not in Scare Mode.